After the Customs officer at the US border confiscated some vegetables we had purchased in Kelowna, we went straight to a gas station and filled Betsy up. The diesel price as we know now was a tad higher as we travelled south but much cheaper than Alaska or Canada. 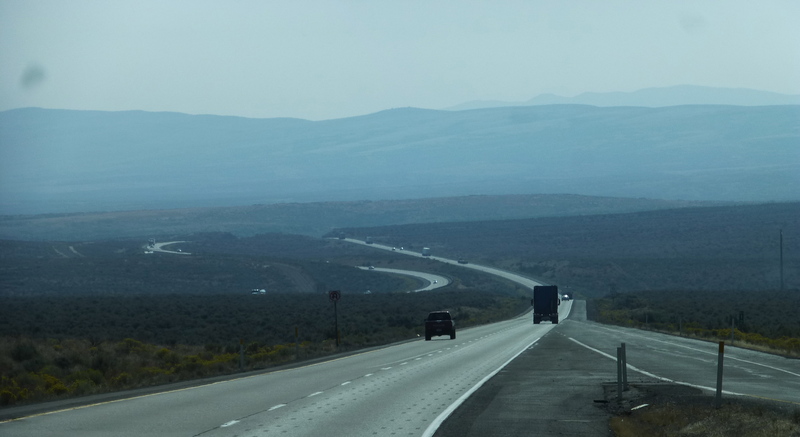 The change in scenery is quite dramatic, reminding us we are back in the Lower 48 with Washington state as our gateway. 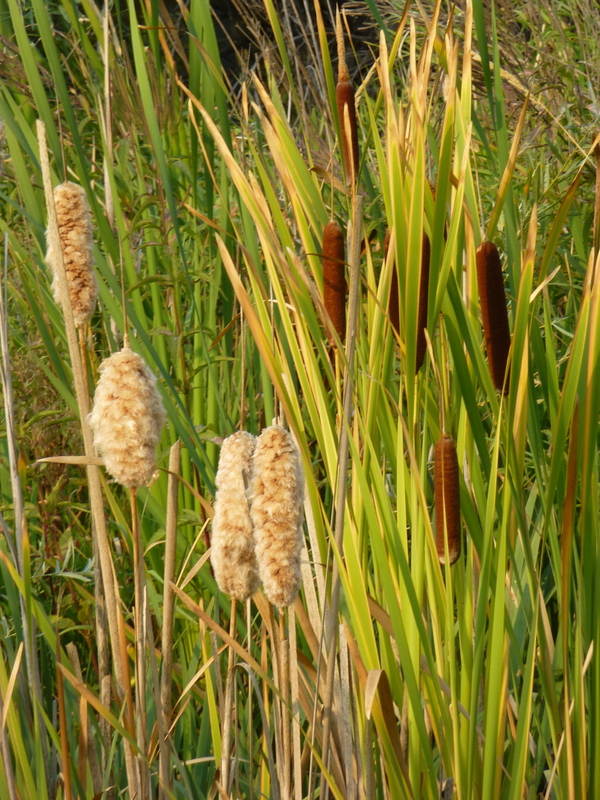 As we drove along the highway we noticed the mountains are dry, with parched forest, dry brush and grass. 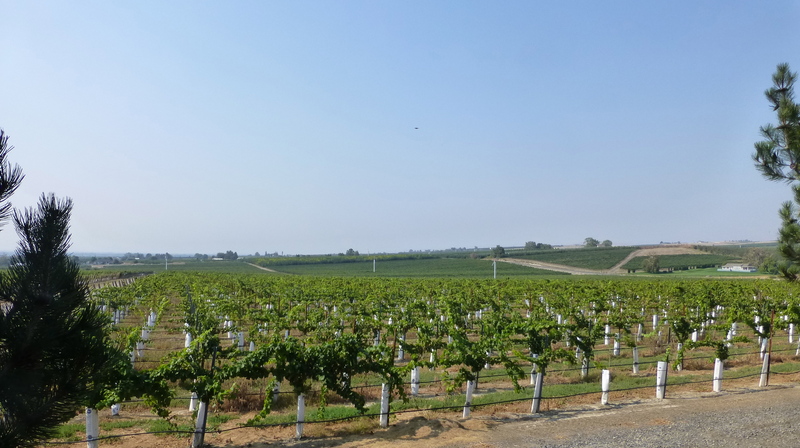 Interspersed are acres of orchards and vineyards. 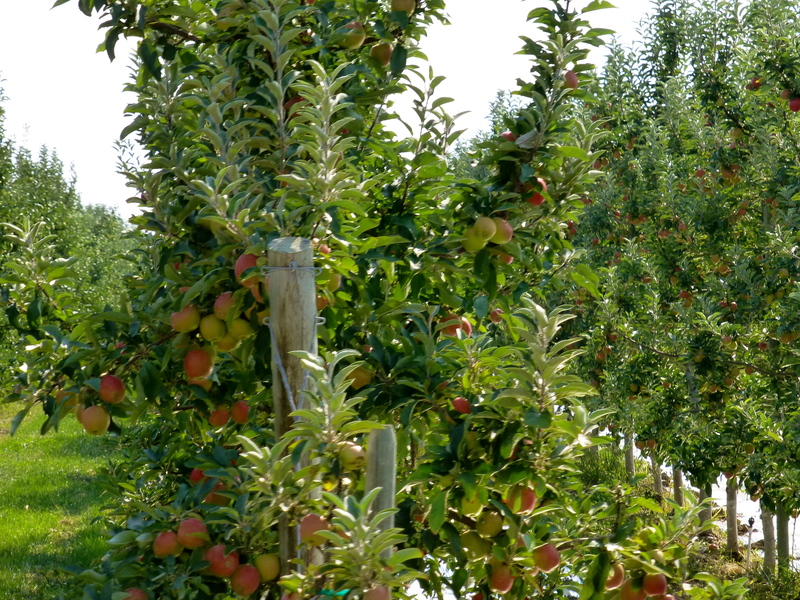 Remember, red delicous apples from Washington – that’s where they are grown. Nearing our destination we noticed smoke and fires coming from the mountain tops and noticed that a haze was already covering the valley. 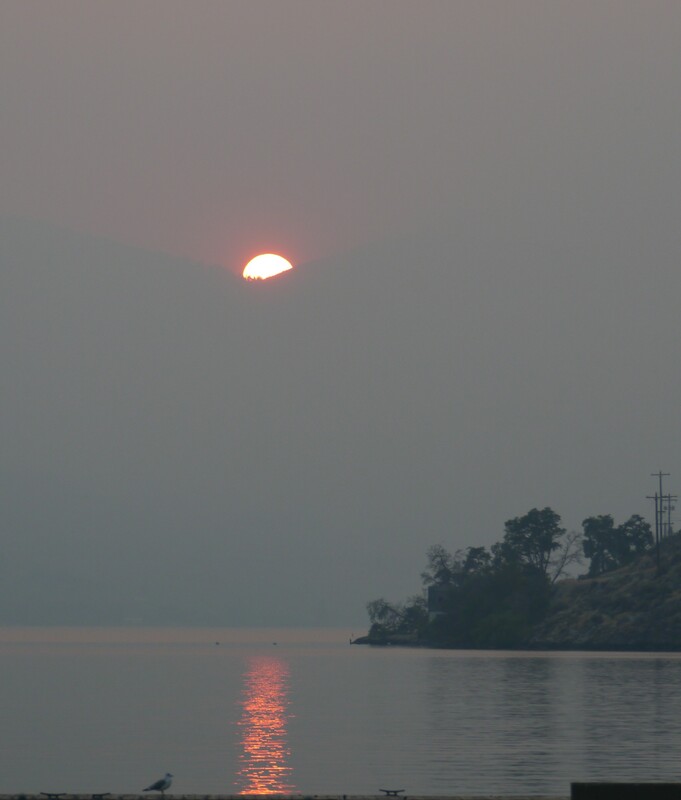 We decided to forego our original destination, Alta Lake State Park, as it was really close to the wildfires and the area was already smoky. 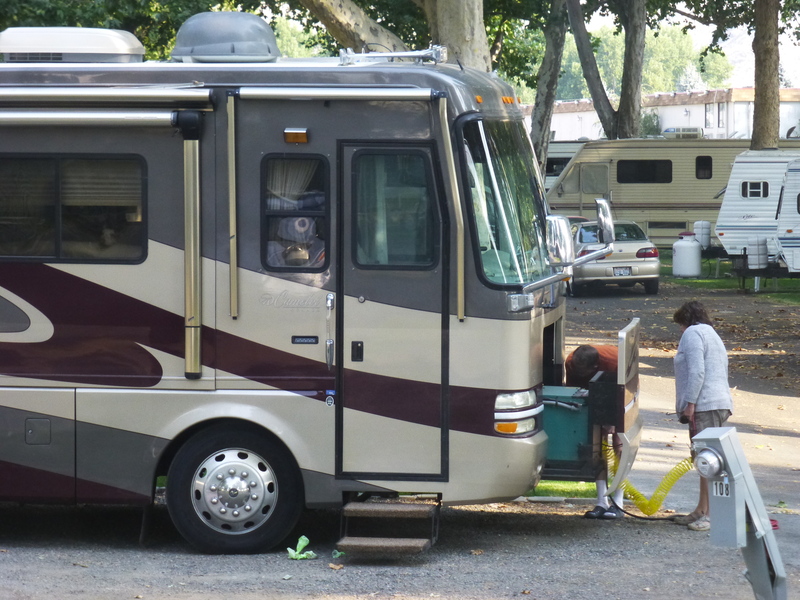 We drove further and found Lakeshore RV park at Lake Chelan and fortunately they had a site available for us. Lake Chelan is a pristine 50.5 mile glacier-fed lake, is 1.5 miles at its widest and 1486 ft. at its deepest point making it the third deepest in the U.S. behind Crater Lake and Lake Tahoe. The Lake Chelan valley is nestled in the North Cascades National Forest. 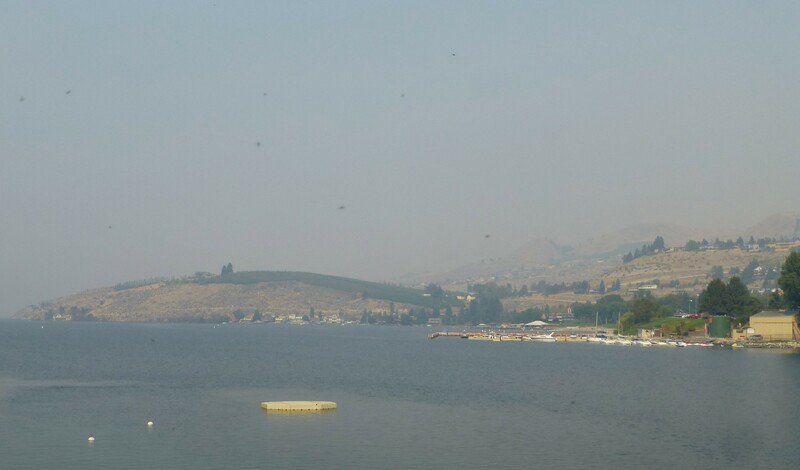 The haze was quite visible around the town and lake. 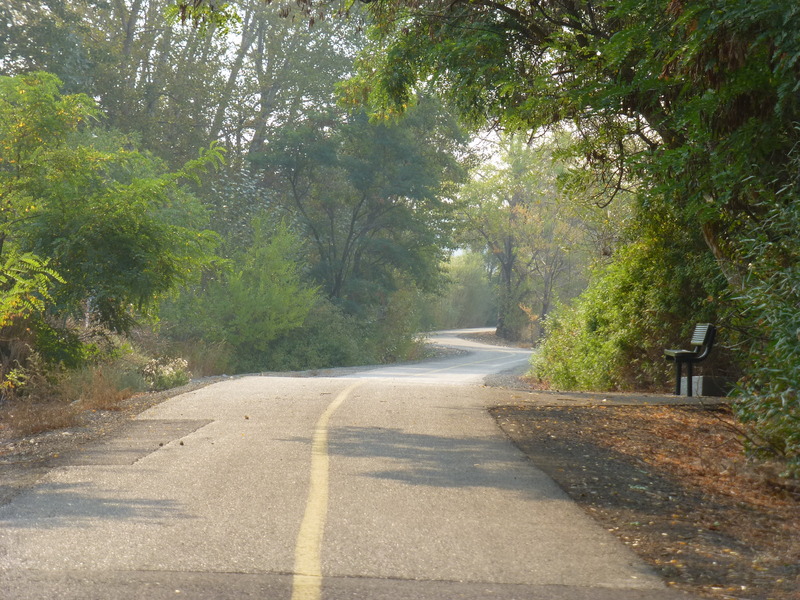 Despite that we followed their Riverwalk Trail around the lake and downtown area. We learned that Lake Chelan is a destination resort as it is known for its 300 days of sunhine and lots of things to do all year round. The sunset by the lake while we were there was beautifully enhanced by the smoke and dust in the atmosphere. Sunset at Lake Chelan. the sun is behind the mountains not clouds. After three days we decided to move on for the smoke was getting thicker and we could really smell it. But then after continuing for more than a hundred miles, the smoke still covered the mountains and valleys. We learned that the fire started on Sept 7, caused by lightning and the fire still has not been contained. 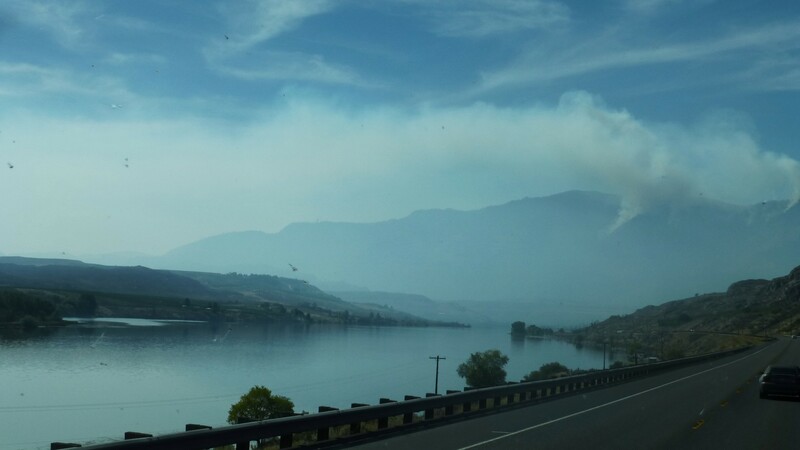 The smoke is blanketing much of central Washington as wildfires remain uncontained with the dry conditions and no rain in the forecast. The highways we were on were supposed to be scenic and picturesque with the view of the eastern Cascades and the peaks of Mt. Rainier and Mt. Adams, but visibility was low. 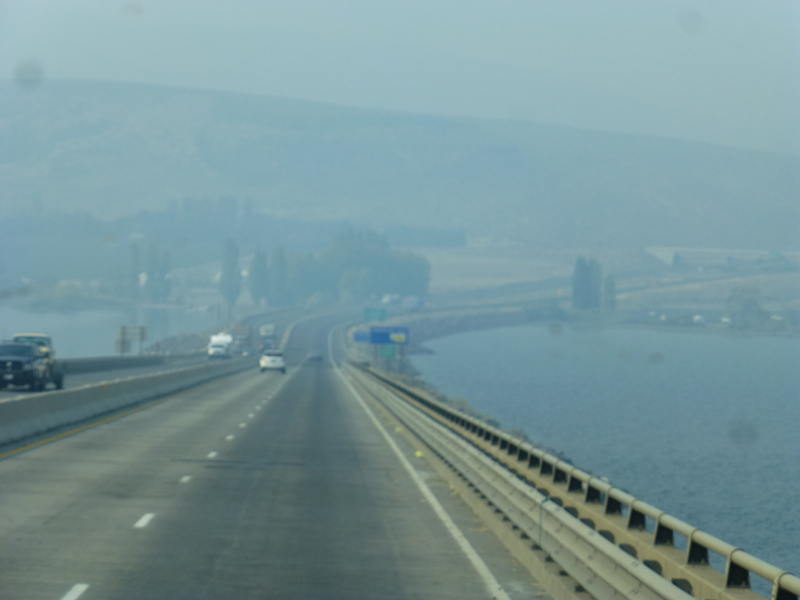 We arrived at Yakima with a layer of smoke lying over the city. 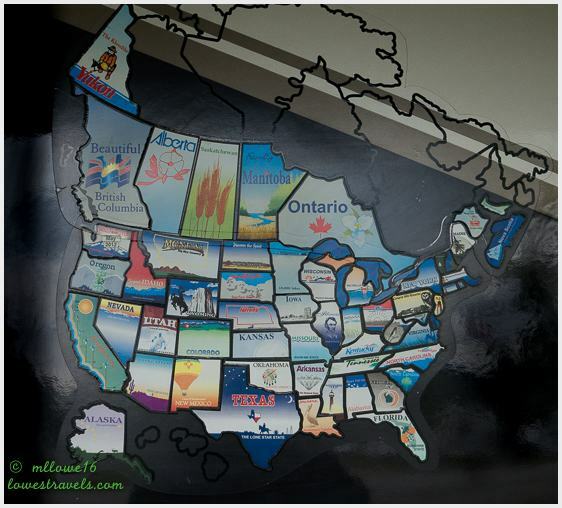 Washington ranks second in the United States in the production of wine, behind California. Here in Yakima is where 40% of it is produced. 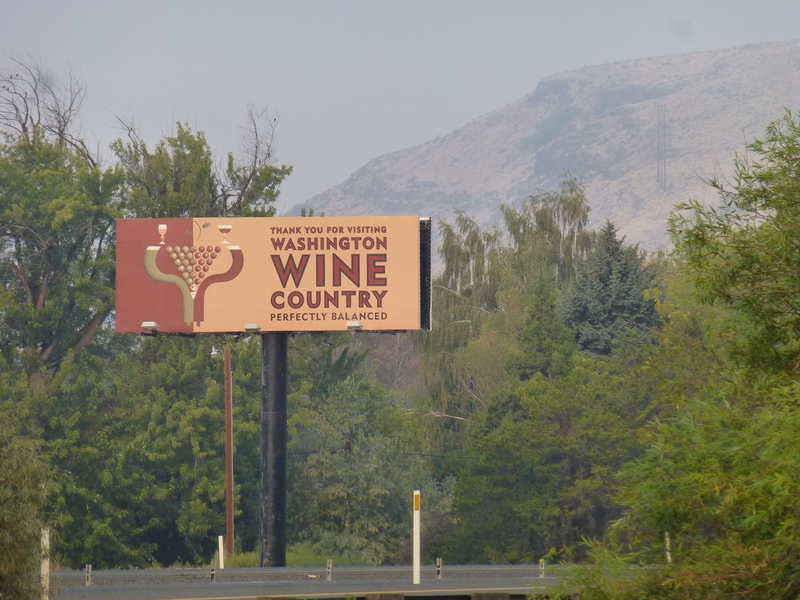 In addition, the Yakima valley produces an abundance of agricultural products where the famous Washington apples and cherries are grown. We went wine tasting in one of the wine appelations here, the Rattlesnake Hills Wine Trail, where we noted acres of orchards and vineyards enterwined in the land. Various fruit stands were also visible on the highways and byways. 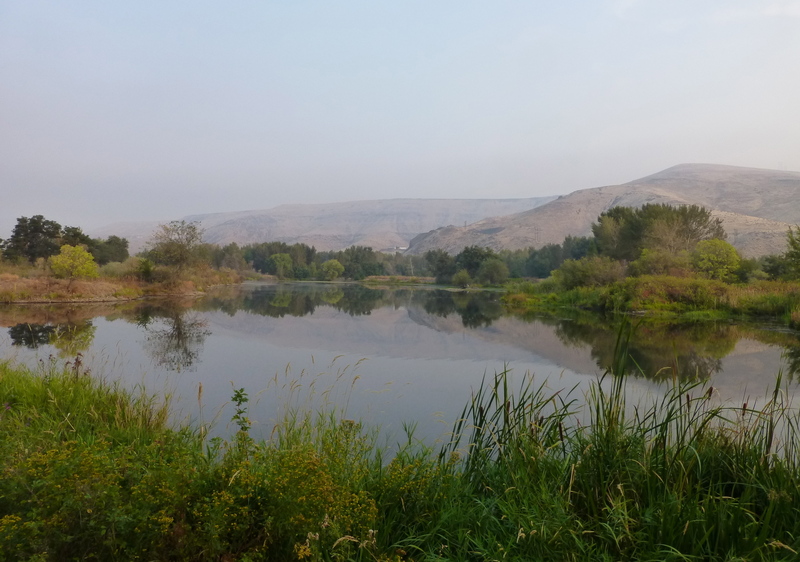 We also visited the neighboring town of Toppenish located within the boundaries of the Yakama nation and is quite rich with Native American history. 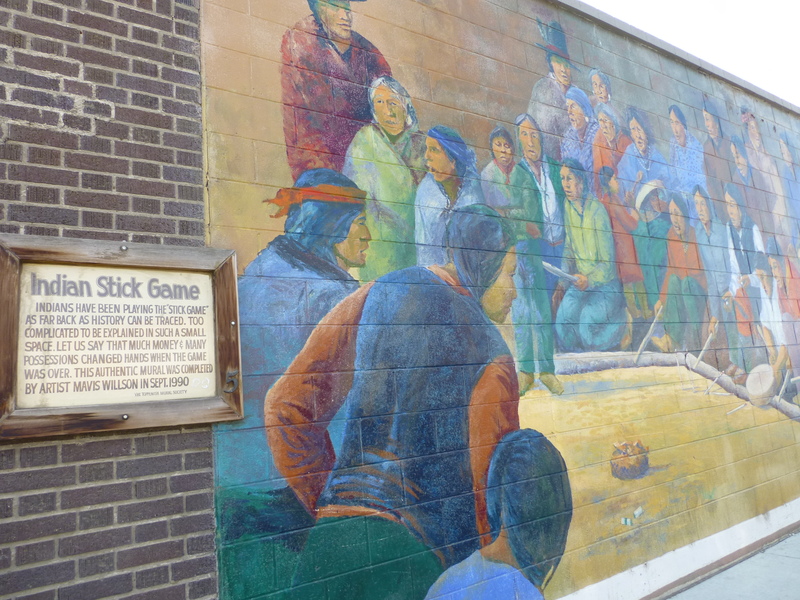 We did a short walking tour to view and to admire some of the 73 murals around the city. 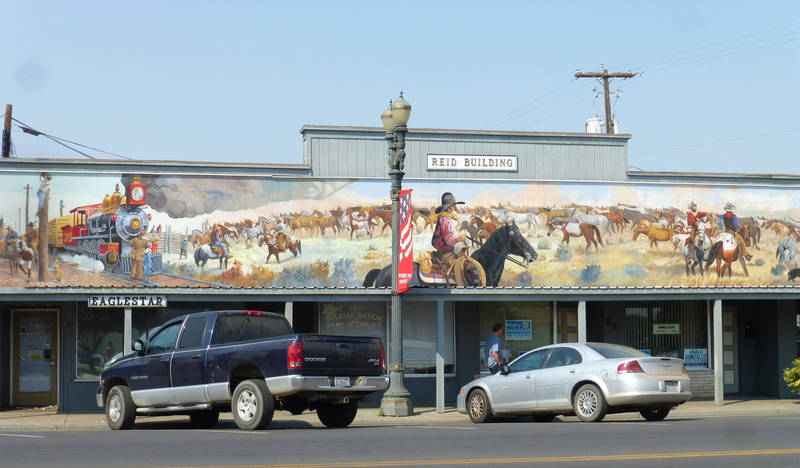 This is the town where walls can really talk for each mural has its own introduction. 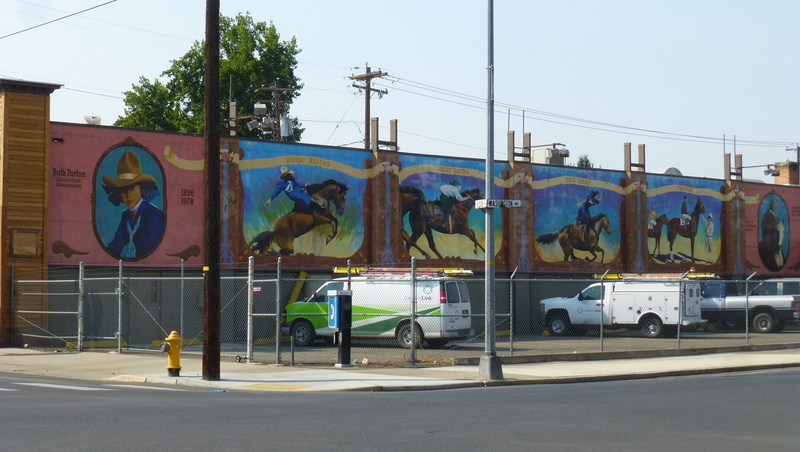 Below are few of interesting mural stories. Rodeo, recalls the early Toppenish round ups where cowboys and ranchers get together. 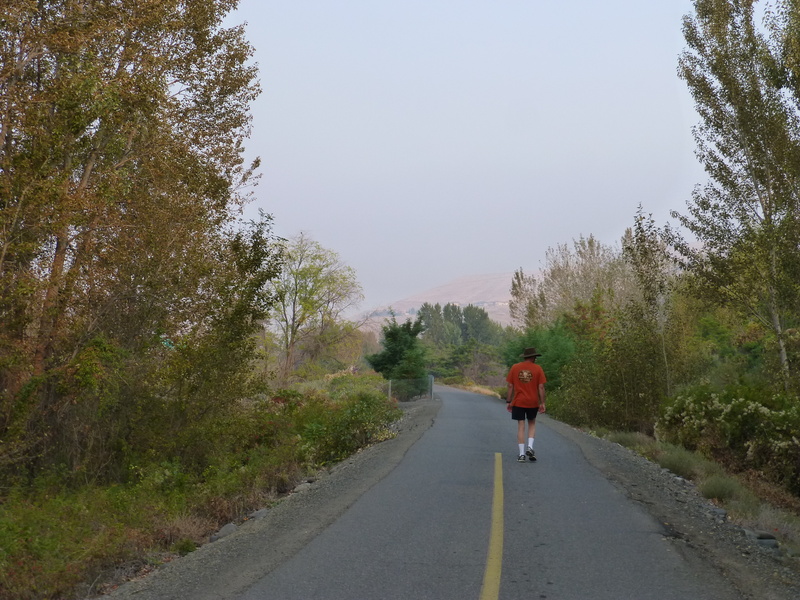 Yakima also boasts their 10 mile paved pathway called Yakina Greenway, which parallels the Yakima river and in some stretches parallels the highway and overpasses. 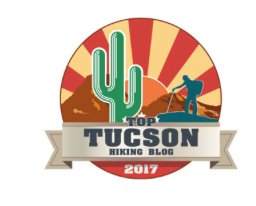 We enjoyed this walk/hike while our Honda was in for some maintenance work. At the end of the walk we burnt 1200 calories, yeah! And the best part was that the RV park had a nice pool and Therapy Pools (as they called it) where we could dip our tired and sore muscles for a while. And here is Steve’s good deed for the day. This poor woman was inexperienced and ran into a utility post with her trailer when she arrived late at night (see the utility post on the lower right). 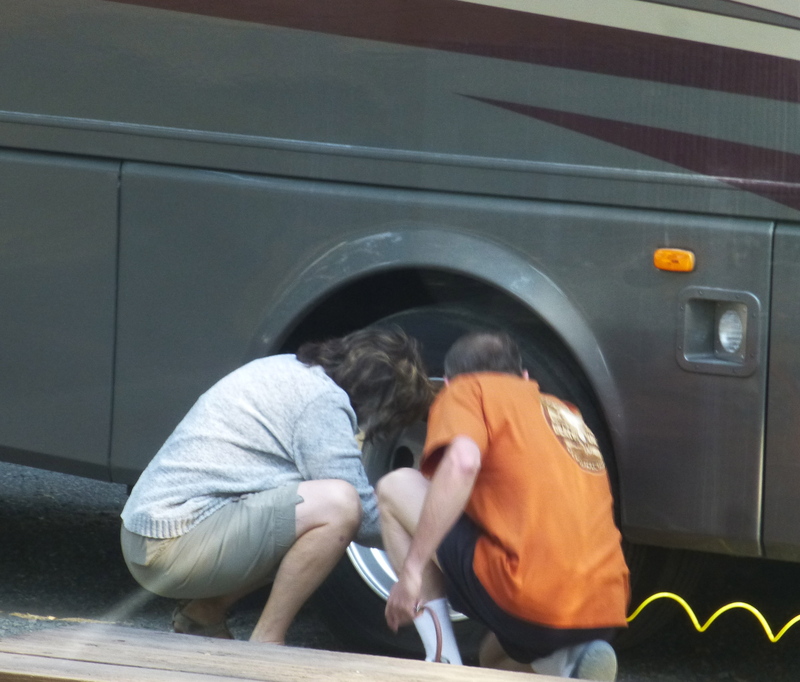 Steve helping the Damsel in distress who is traveling by herself with 3 dogs and ended up with a flat tire. So we will move on now, hopefully to where the air quality is much better. 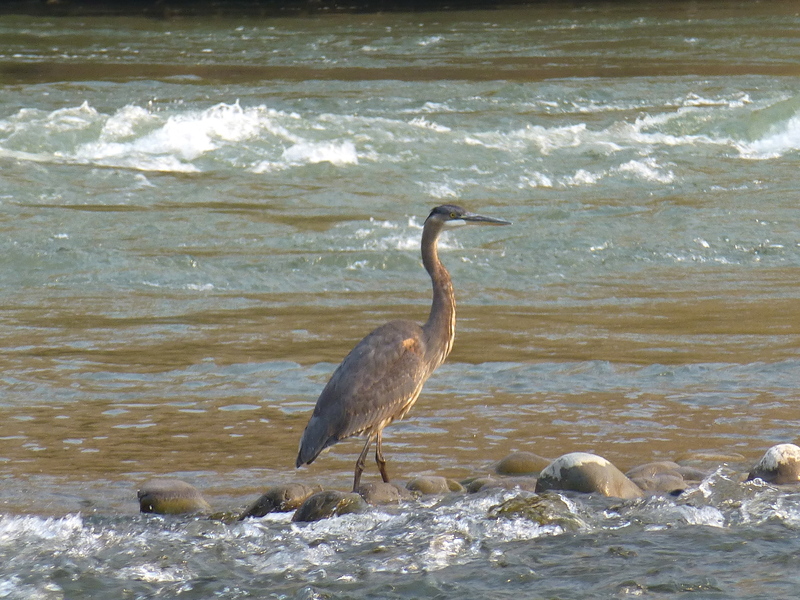 Columbia Gorge, here we come!